I really adore a good fairy tale retelling, and lucky for me the genre seems to be really popular at the moment. A blogger friend of mine turned me on to Kill Me Softly, and I’m so glad I decided to give it a read. It definitely did not disappoint! Mirabelle knows very little of her past life, thanks to her overprotective guardians. All she knows is that her parents died long ago, and are buried in a town named Beau Rivage, a place Mira is forbidden to visit. A week before her 16th birthday, Mira does the unthinkable and runs away to Beau Rivage, and there discovers a world she never, ever would have thought existed. In Beau Rivage everyone has a story, and with the help of a few new friends, Mira will discover just what her story is. Mirabelle was a very interesting, determined character. She wanted to find out about her past life, and she set out to do exactly that. She didn’t always make the best choices, but she went after what she wanted, and found out about her life. I caught on to Mira’s story fairly early in the book, but was still intrigued enough by it to keep reading on. The love interest in the story is between two brothers, Blue and Felix. I definitely picked a team early in the book, and stayed true to Blue until the end. The brother’s story is definitely mysterious, and the wait to find out just exactly what happened to them was agonizing. The secondary characters in the book were well written as well. While we do get a good bit of back story on each character, I still found myself wanting to know more about each character. If the author ever decided to give each character their own book, I would definitely read each and every one. The book was very well paced, and flowed together nicely. I love that the storyline didn’t just center around one particular fairy tale. Every person had their own tale, and each one was interesting. All of my favorite characters wrapped up nicely in one book. Thankfully, there was not a cliffhanger ending at the end of the book. However, there were a few things that I felt were left unresolved, things that left me very curious. Overall, I thought this book was great. The characters are intriguing and the storyline is highly addictive. 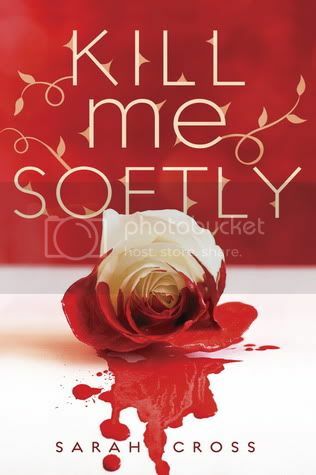 If you’re into to fairy tale retellings, you should definitely check out Kill Me Softly. I’m really looking forward to reading more by this author in the future. Thank you Kathy at A Glass of Wine for telling me about this book! I haven't paid any attention to this book and I had no idea it was a retelling! It sounds great. I'm happy you liked it! This one looks so good. I'm glad you liked it, because I'm always looking for really great fairy tale retellings! Oooh, this is a fairytale retelling? I had no idea. Cool, I'll definitely look into it based on that alone. Great review! Glad you liked it! Every review is making me more excited! I haven't heard many good things about Mira but if you liked her she can't be half bad! :) I love that this is a fairy tale retelling. I think I'll have to pick this up! Great review, Christy! I must read this book this week. MUST. This review has made me want to grab it right after work today and read it! I love fairytale retellings, and with the tv show Once Upon A Time being so popular, they are starting to be everwhere. This one sounds mysterious and dark but really good too! I wasn't sure about this one but I love a fairytale retelling so I know that this is definitely a read soon books for me!